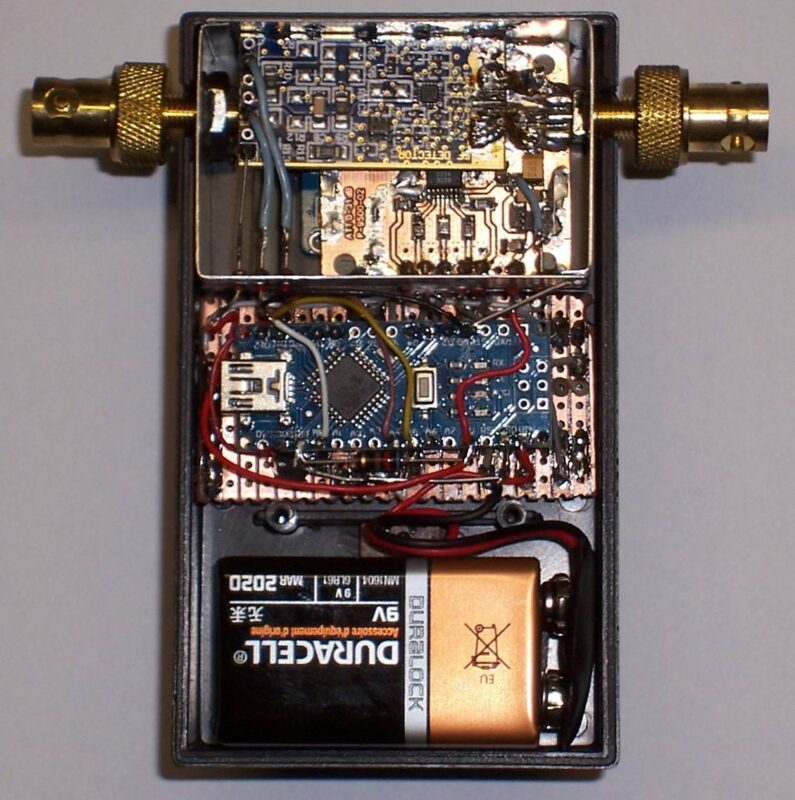 Already a long time a Digital Attenuator and a RF Power meter was laying in my junkbox doing nothing….. So I decided to put both modules together in a small case and added an Arduino Nano and OLED display to it. The Attenuator is a 31 dB Digital step attenuator HMC307 and the Power meter is a design of SV1AFN. 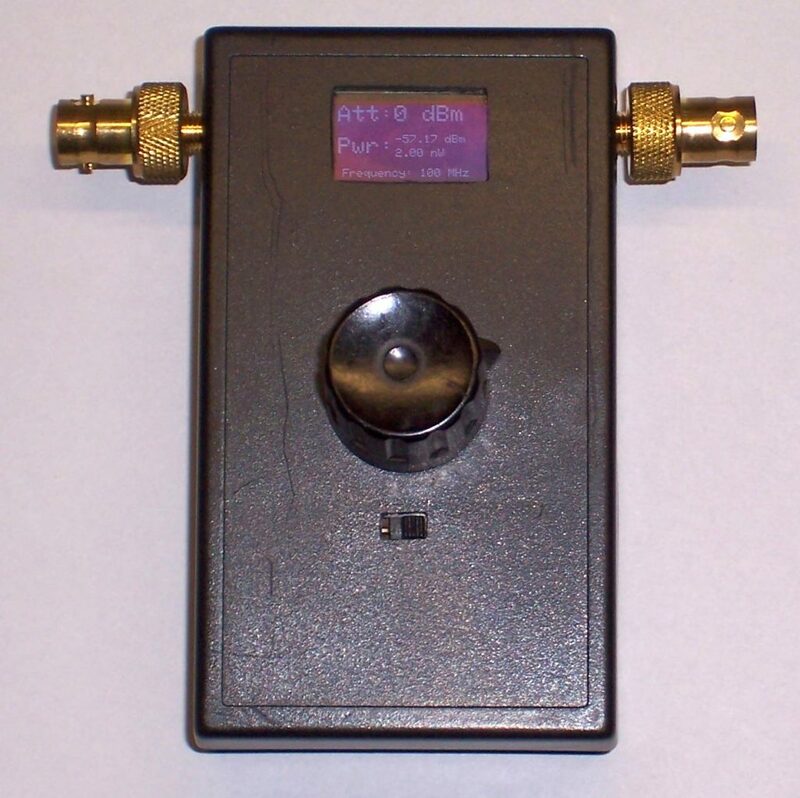 The Power meter is equipped with a ADL5513.